Every one asks me why the Blacknose? I always respond, well why have you been looking at them for an hour - then they laugh! One night I was scrolling through the internet and came across a picture of some Blacknose sheep, I was intrigued and had to find out more. I soon became aware that this animal was very unusual and quirky, three sheep peering into a photographer's lens that resembled some creature out of Harry Potter! 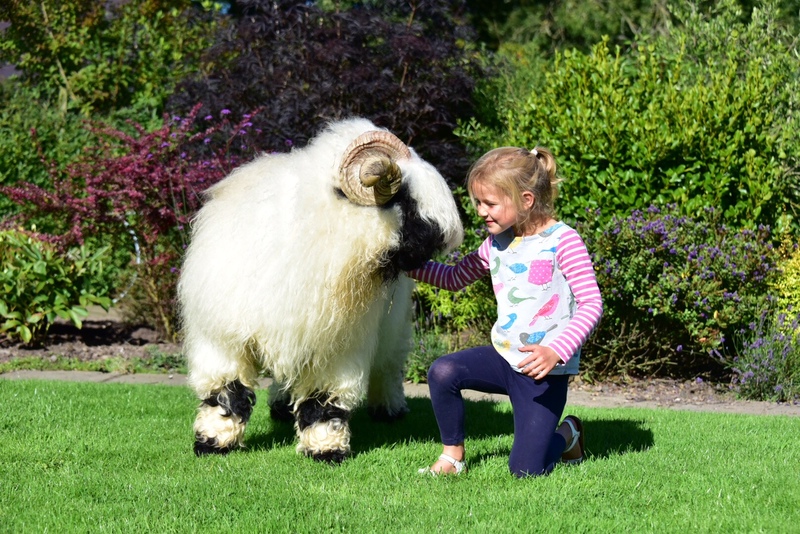 I discovered the breed was the Valais Blacknose and they originated in Switzerland. They were also remarkable and cute all at the very same ! I immediately did some research and found that at the time there were no Valais Blacknose Sheep in the U.K at the time. Through a bit of hard work and lots of hours on the internet, I eventually managed to purchase some directly from Switzerland in 2014 with the help of my great friend and shepherd from Switzerland, Pascal. 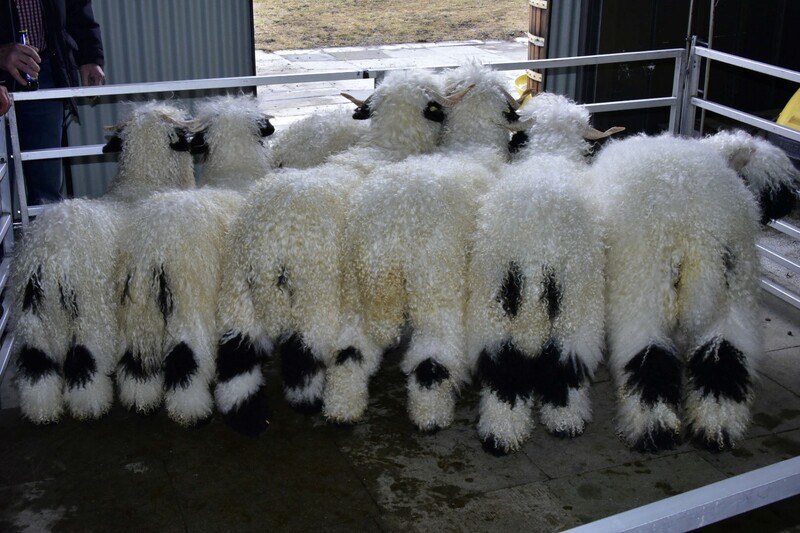 Not knowing much about the breed, I spent hours chatting to the Swiss shepherds about the breed and breed standards in Switzerland, slowly gaining knowledge of what key characteristics to look for in the breed. 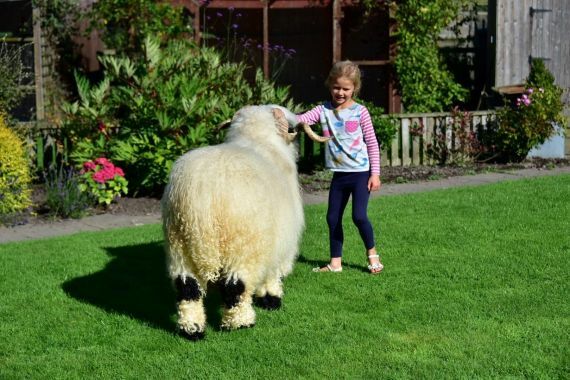 Once the sheep arrived back home in Northumberland and the gates of the wagon opened, it was quite strange to see a new breed that I had never ever seen in the flesh come bounding down the ramp and almost lick you to death! 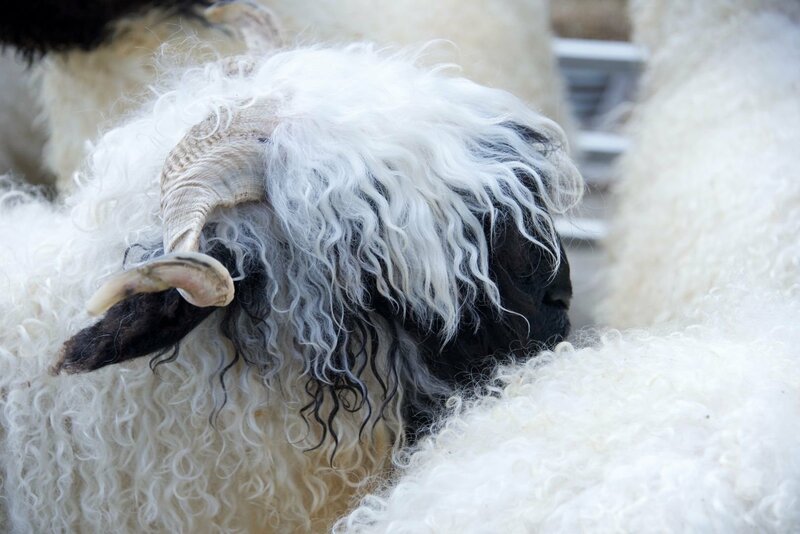 Only then did I witness their unique, docile and inquisitive behavior which makes the Valais Blacknose such a special sheep. Having nearly 3000 "standard" sheep on the farm - not one was ever like this! I instantly became attached to their individual behavior and characteristics, spending every spare moment observing their strange but unique appearance and characters. In February 2015, I was lucky enough to go over to Switzerland once more and help Pascal wash and prepare his sheep for the famous Miss Visp show. This was a very unique opportunity as not many British people had ever even attended the show. Since then, I have visited Pascal Dini and his family twice a year. 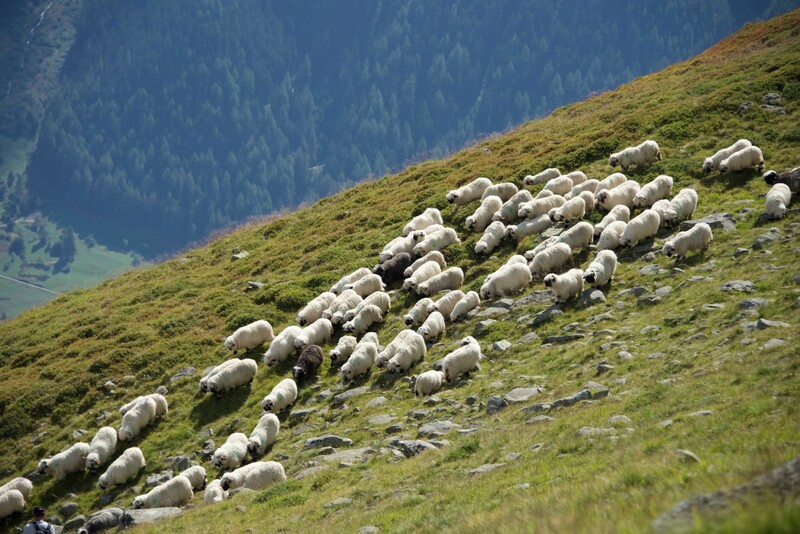 In September I go over for the Gather of the sheep from the mountains and in February I go over and help wash the ewes for the Miss Visp Show. 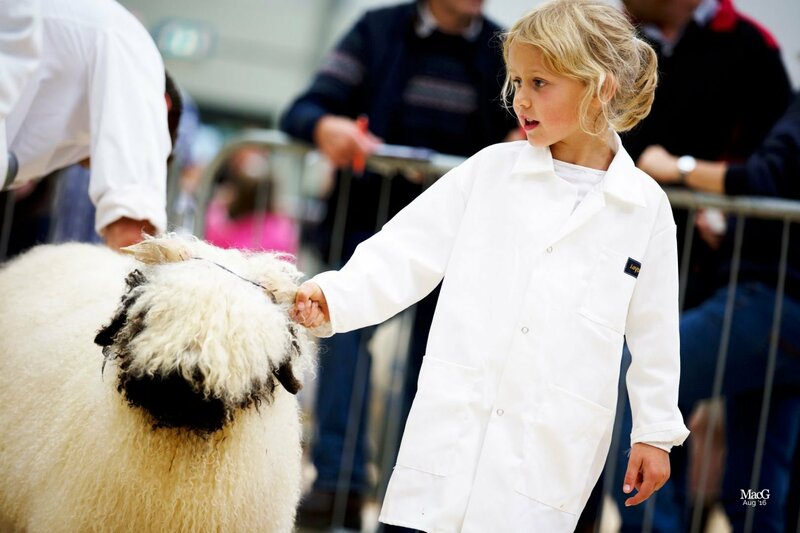 I would like to thank Pascal Dini and Vanessa Albert and all of their families for kindly sharing their unique knowledge and experiences with these special sheep and helping me to learn about and understand as much as I possibly can about the breed.